Disclaimer: This post is sponsored by Pampers. All opinions and thoughts are my own. 1. 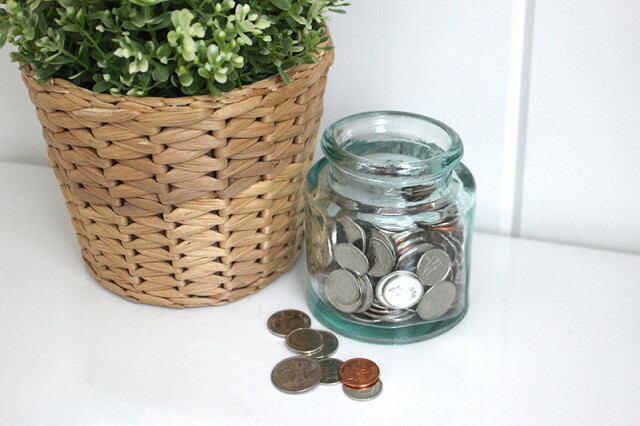 Coin Jar – We have a little coin jar in our kitchen cupboard and whenever Garrett or I have spare change in our pockets, we pop it into the jar. It’s surprising how quickly it adds up and we don’t even notice it. Whenever we want to have a date night, grab breakfast in town or pick up some special treats when we’re at the farmers market, we grab from the coin jar. It lets us have fun little extras without taking a hit to the bank account. 2. Amazon’s Subscribe & Save – Life is busy with a toddler and a business to run, so I count on great services like Amazon’s Subscribe & Save to help streamline our home to save us time and save us money. Amazon’s Subscribe and Save allows you to save on everyday household items, including Pampers! By scheduling regular deliveries right to your front door, from monthly to every six months, you can unlock extra savings on items you need most. Once you create your subscription, Amazon will take care of the rest – allowing you to set it and forget it. Not to mention, shipping is always free. Woohoo! This is an invaluable service for those baby essentials that you always need to have on hand. 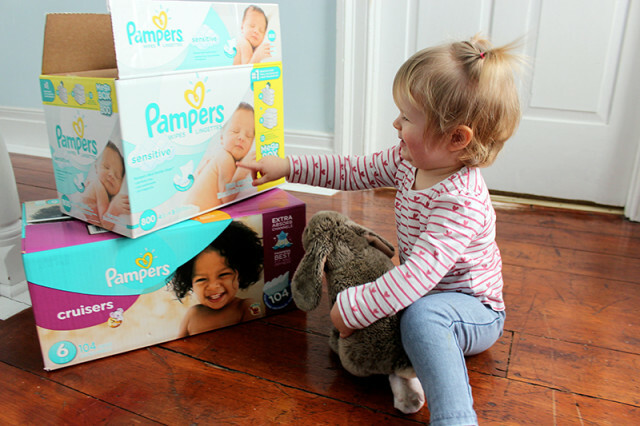 Amazon’s Subscribe and Save has a great selection of Pampers products available, including Pampers Sensitive Baby Wipes, Pampers Natural Clean Baby Wipes, Pampers Baby Dry, Pampers Swaddlers, Pampers Cruisers, Pampers Easy Ups, Pampers UnderJams, and Pampers Splashers. I can order exactly what I need and save me bundling us up to head out to the store in the cold weather. My supplies come right to the house and I have more time to spend with my little monkey. To stretch my dollars even further, I earn points using the Pampers Reward App. I scan the code on every Pampers product and redeem points for great gifts and rewards from the catalogue for the whole family. 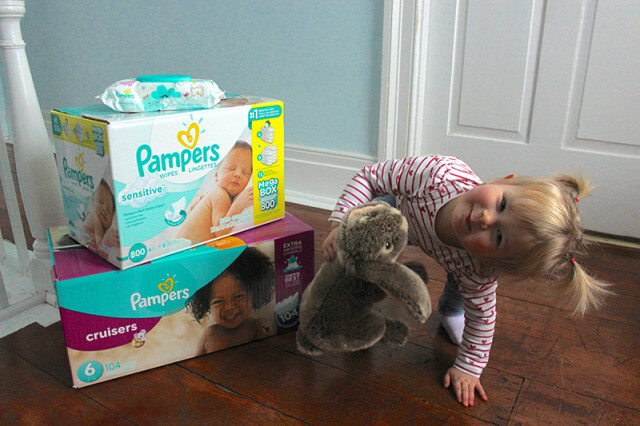 It’s so easy to turn your diapers into rewards! 3. Stock Up on Homemade Goodies – January is a time that calls for hunkering down and being at home. There are fewer obligations and the cold weather keeps us indoors, so I like to use this time to do things that I might not have time for the rest of the year. It’s easy to get caught up in the great ready-made convenience options at the grocery store, but they’re often two to three times more expensive than if you made it at home. 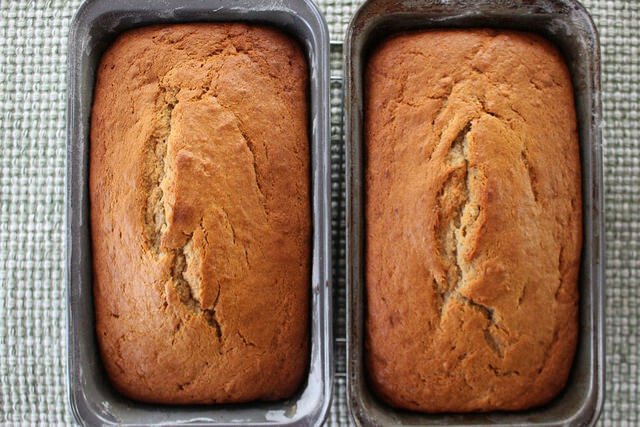 A loaf of Banana Bread can be $4 in the store, but I can make one at home for $1. I always double the recipe and make an extra loaf for the freezer. 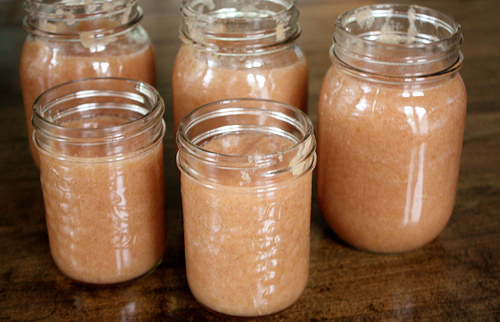 Lucy loves unsweetened Applesauce and I make it from scratch for roughly a third of the price of the jarred stuff. 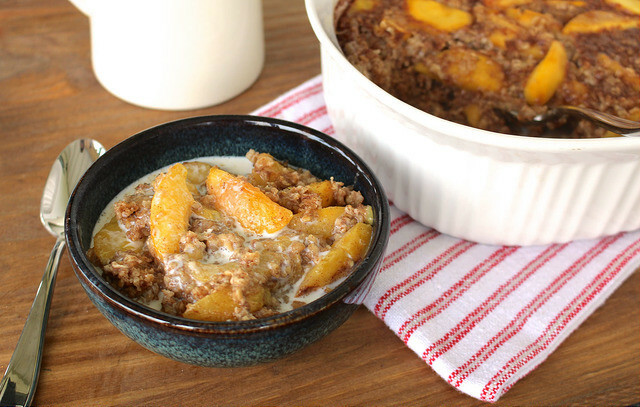 I keep an eye out for bananas and apples in the reduced produce section of our grocery store to make these recipes, and I watch the flyers for specials on the ingredients I need to make good make-ahead freezer meals like Lasagna, Macaroni and Cheese and Slow Cooker Butternut Squash and Parsnip Soup. 4. Make the Oven do Double Duty – Another way to make homemade food and save on your energy bill at the same time is to make your oven do twice the work for you. If I’m already doing a Roast Chicken in the oven, I’ll whip up another recipe that I can pop in at the same time, like an Apple Cake for dessert or a Baked Oatmeal for weekday breakfasts. Or if I have a ham in the oven, I’ll roast some broccoli and make Scalloped Potatoes so that I only heat up the oven and not the stovetop too. Having the oven on also warms up your house, which is especially helpful on these cold winter days. 5. Stay In and Host a Potluck Games Night – With the hustle and bustle of the holidays, we didn’t get the chance to visit with friends much while everyone was busy with family get-togethers. I love hosting fun nights in with our friends, where we all make one dish to share and have a games night. It’s so much cheaper than meeting up for an expensive dinner out and we always have a great visit without the loud crowds. 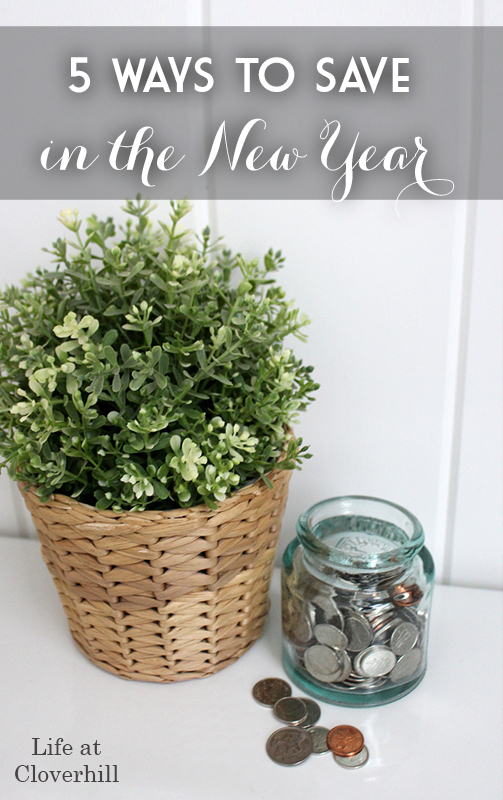 I hope these tips give you some ideas to help you save your pennies throughout the year!